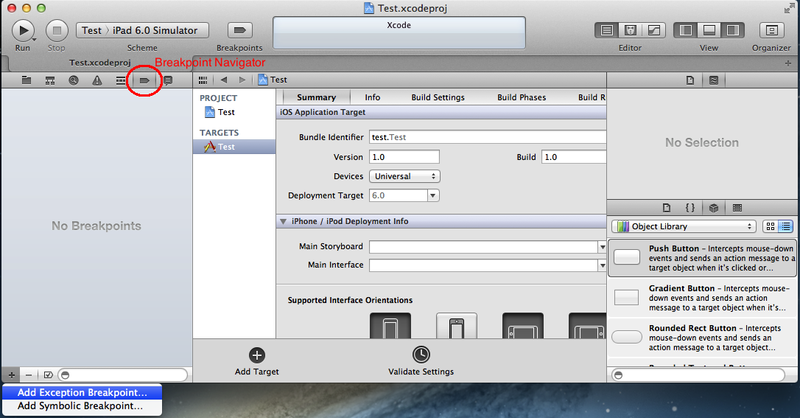 Lot of times developers complain that while running an iOS app in Xcode, the app crashes and the console doesn’t show anything to help them finding the error. A simple but very efficient tip for those situations is to add an exception breakpoint to xcode. In a lot of cases it will point the exact line where an exception occurs. That is all you have to do. Hope that helps!